The robe is made of gauze-banded plain weave silk with embroidery. 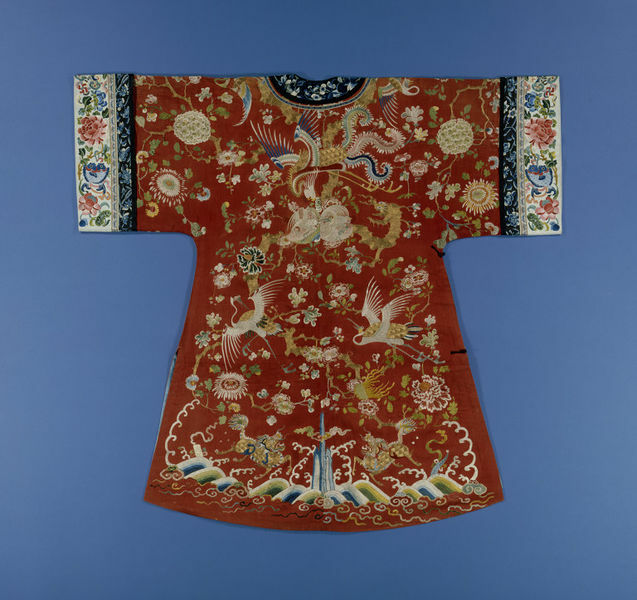 This robe is a woman's garment that may be the earliest non-ecclesiastical Chinese garment in the Museum. The grand is a rich red silk that has horizontal bands of fruiting pomegranates (symbolizing a woman with many kids) in gauze weave running across the fabric at widely spaced intervals. 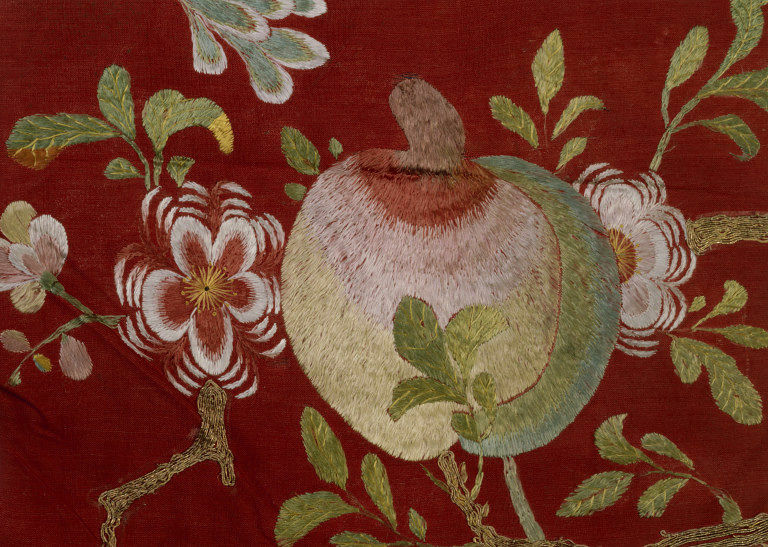 Over this, there is shiny embroidered decoration of fruits, flowers, birds and mythical beasts . Traditionally used Chinese dyes, pagoda tree buds, turmeric and safflower had been identified as the dyeing sources of this Chinese woman's robe . Berberine was found in sample 2, a green thread from the pattern. Quite a few plants can generate berberine as a yellow dye . The most widely used were Phellodenrom spices, for exampleAmer cork tree and Chuan Huang Bo (Huangbo from Sichuan). This page was last edited on 4 August 2017, at 09:45.